Adding an Instrument Rating to your certificate is not only very rewarding but also makes you a better pilot. All of our airplanes are IFR certified and the Redbird simulator is an excellent training tool for getting your rating. You can log up to 20 hours in the simulator for less than half the cost of renting an airplane! 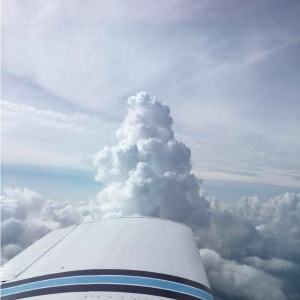 Some people do their Private and Instrument training together, but you must either have your Private certificate already, or plan to take the Private and Instrument checkride on the same day. This exam tests your knowledge about flight, the rules and regulations, and what you understand about the airplane. 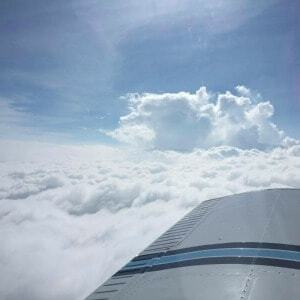 You can attend an Instrument ground school to prepare you for this exam, or do a home study course such as Sporty’s free test prep, Rod Machado’s Instrument Pilot course, or Gleim (these are just a few examples). Sheppard Air offers a money-back guarantee with their inexpensive test prep program. The list below is a general overview. Click here for the complete requirements. You can do up to 20 hours of the simulated instrument time in our Redbird simulator, which can reduce the cost of your instrument training! You can also log simulated time with another Private pilot in the right seat as a safety pilot while you practice “under the hood”. You and your friend can both log “PIC” time doing this. If you are planning on getting your Commercial certificate, consider combining some of your required cross-country time while you do your instrument training with your instructor. Once you’ve met all of the requirements for getting your Instrument Rating, and your instructor knows that you’re ready, he or she will sign you off to go take the “practical test”, also known as the checkride. 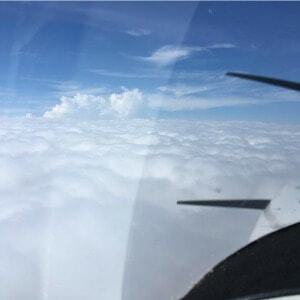 You will meet with an examiner much like you did for your Private Pilot exam. Once you have passed this test, you are an instrument rated pilot!!! Go fly through some clouds!